Bjorn Ironside and Hastein continued their journey, they conquered Pisa, they proceeded inland to the town of Luna, which they mistakenly took for Rome. 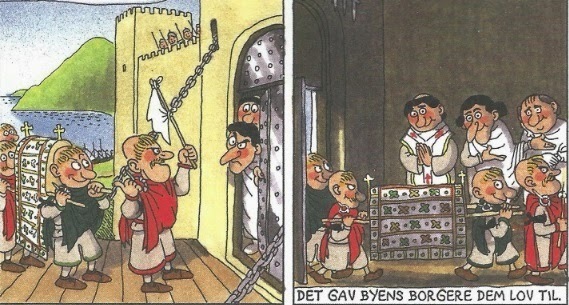 at the time, but Bjorn Ironside found himself unable to breach the town walls. To gain entry, he sent messengers to the bishop to say that he had died, had a deathbed conversion, and wished to be buried on consecrated ground within their church. He was brought into the chapel with a small honor guard, then amazed the dismayed Italian clerics by leaping from his coffin and hacking his way to the town gates, which he promptly opened, letting his army in. Luna was captured, Bjorn Ironside and Hastein sailed around the Mediterranean looking for more places to plunder. 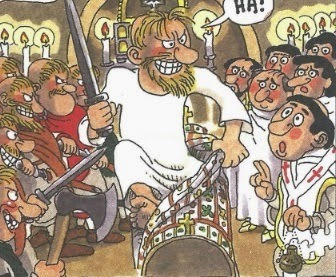 Charles the bald bribed a viking chieftain named Weland 3000 or 6000 pound silver to drive out the Jeufosse vikings at the island Oissel. Weland broke the deal - he sailed to England. Later Weland returned back to France with the vikings he promised to drive out.Valence was attacked . A Viking camp was build at Waterford. Cerball mac Dunlainge defeated a group of vikings, who were raiding in his kingdom Osraige. 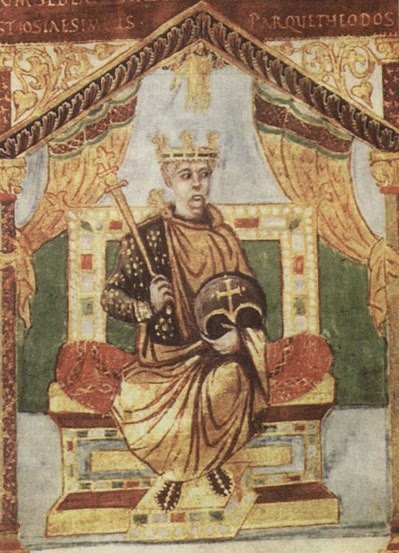 Harald I of Norway was crowned as king. Norwegian vikings explored the White sea. The Vikings stormed Kiev, and the Khazars were driven. A chronicle tells that Hoskuld and Dyre became Kiev’s rulers.